Elliott waves analysis – Rebuy cable around 1.27355. The cable is currently trading around the tip of the previous week’s lowest low. We expect a possible momentum towards the weekly support level 1.27355 to pick a long position towards 1.33390. Basically, as long as the price remains above 1.27355, we expect a possible momentum to the upperside. This view can only be invalidated in case the price breaks below 1.27355, if this is the case, then a move even lower is expected with the next ideal target being along the trendline to the lowerside. 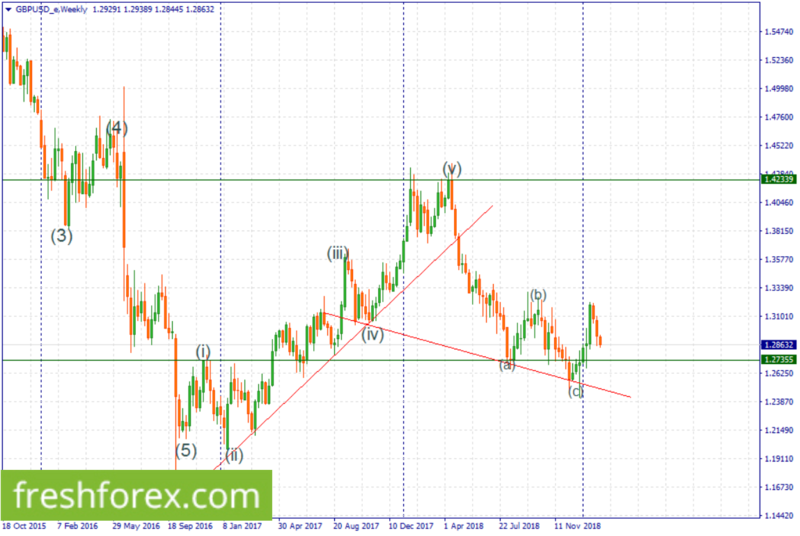 Elliott waves analysis – We’re short from 1.33015 with our take profit at 1.26781.